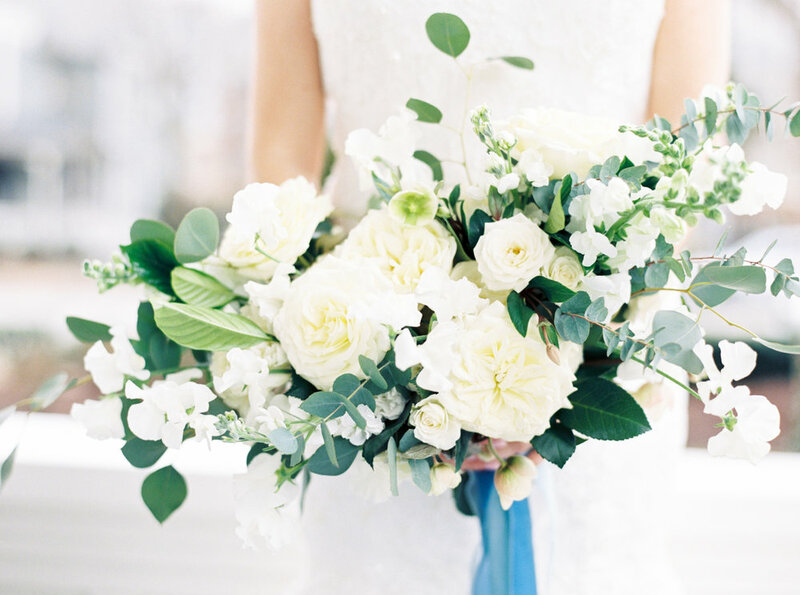 With a February wedding date, Stacey knew that she wanted wintry and frosty inspired flowers. At our first meeting, we discussed Stacey and Tony's background and found out that Stacey is an interior designer. 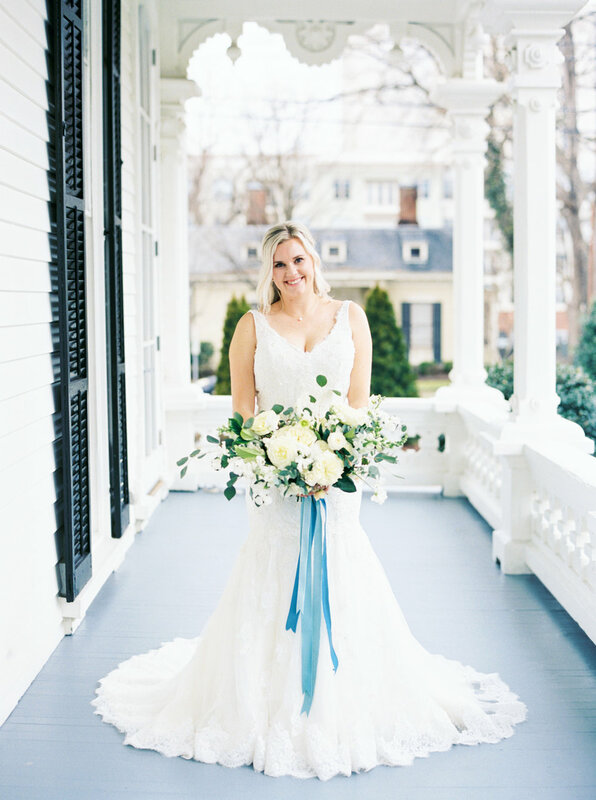 We immediately wanted to know how she decorated her home so we could incorporate her personal style in to the floral design. 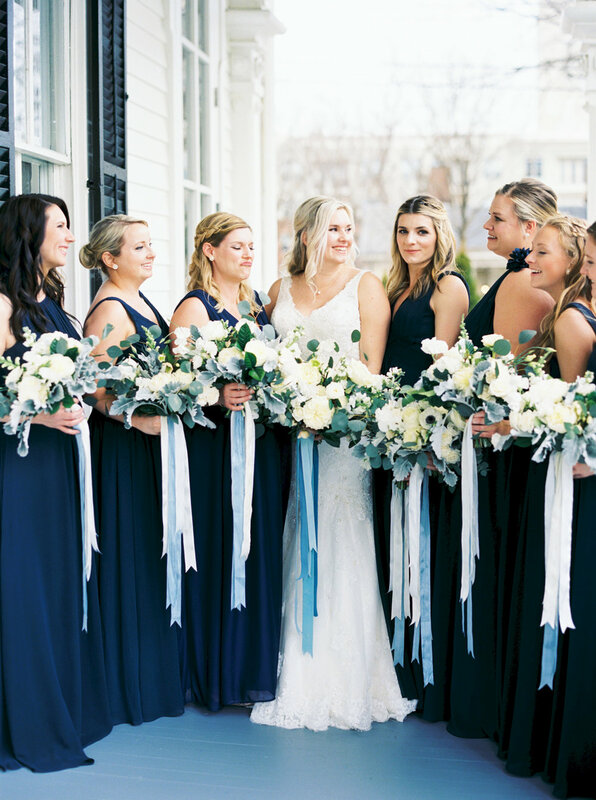 With her love for all shades of blue, we came up with a design using flowers, foliage, and ribbons that captured the crisp, winter feel that Stacey envisioned. 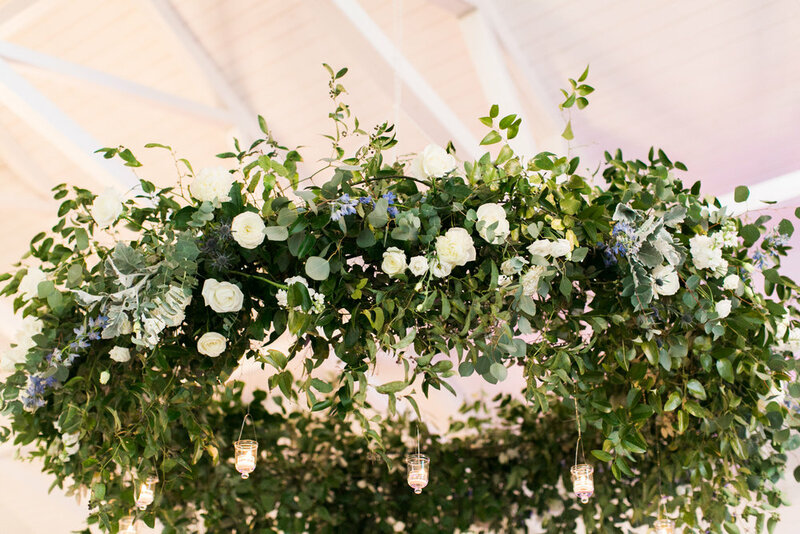 We used garden roses, sweet pea, anemone, hellebore, narcissus, peonies, delphinium, muscari, snapdragon, blue thistle, stock and a mix of eucalyptus, dusty miller, bay laurel and gardenia foliage. 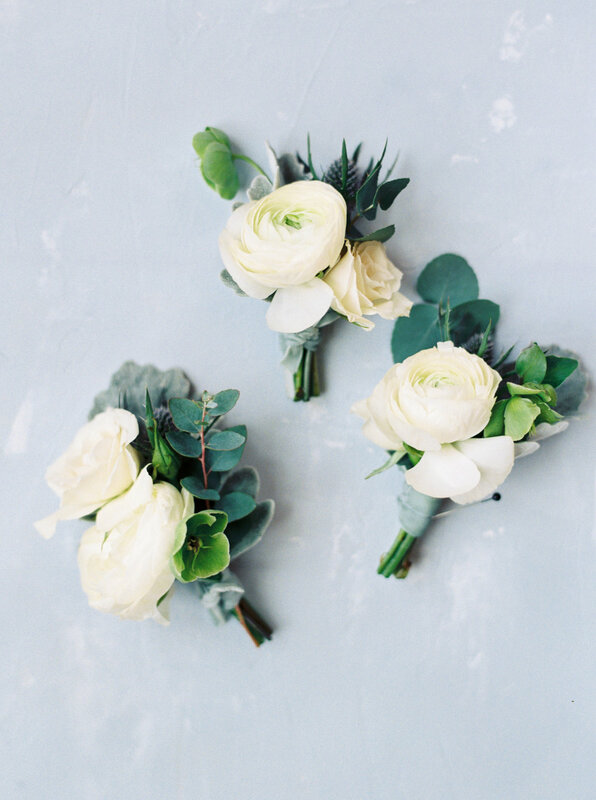 To accent the bouquets, we used a mix of velvet and silk ribbons in shades of French blue, dusty blue and icy blue. 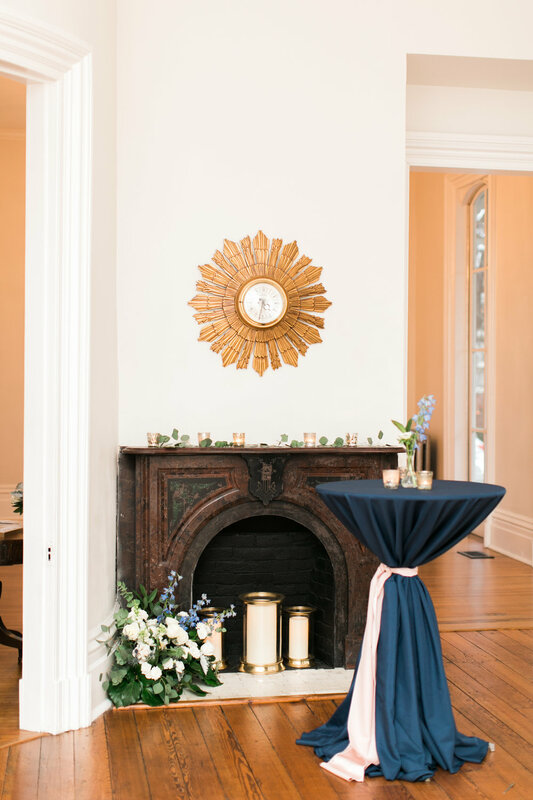 We added graceful delphinium and delicate blue muscari to the reception centerpieces for additional blue color. 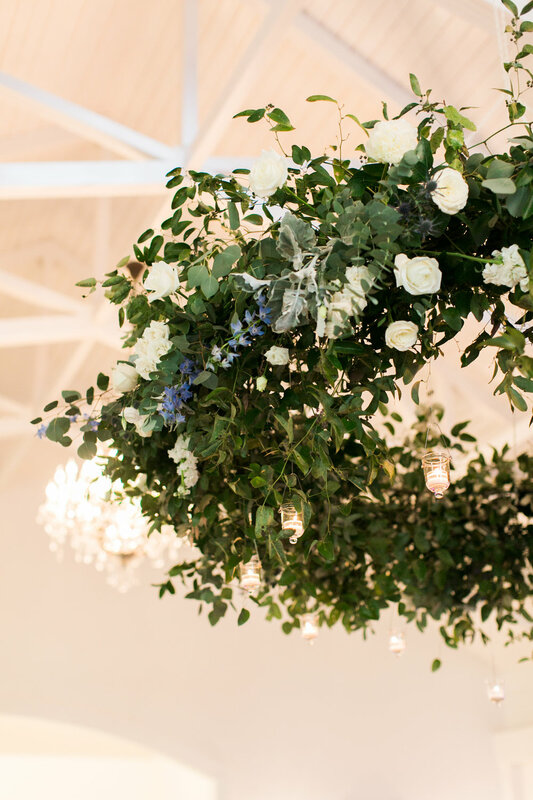 They set the mood for a romantic wintry reception by hanging a floral installation above the dance floor. 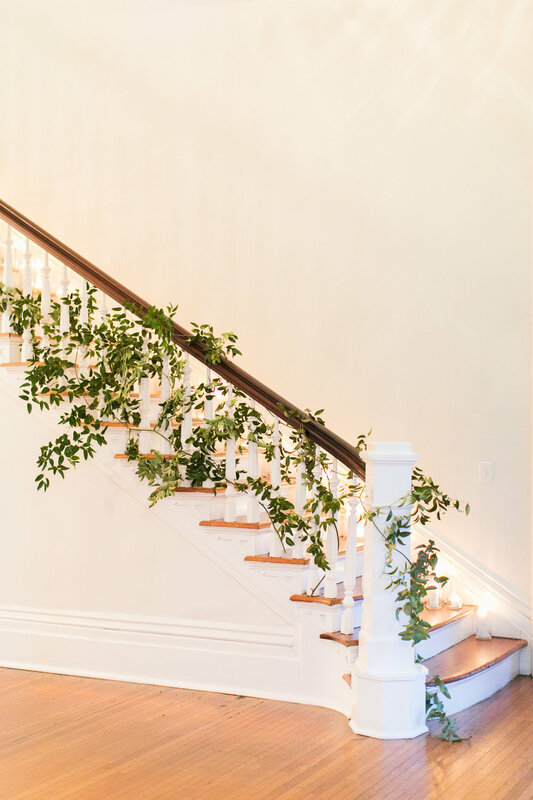 The installation included dripping greenery, lush blooms and hanging votive candles. Stacey and Tony have a love for bourbon and wanted to treat their guests to a bourbon tasting experience. They had a bar dedicated to serving up 7 different varieties of bourbon. A romantic lounge area near the bourbon bar provided a cozy area for guests to relax. 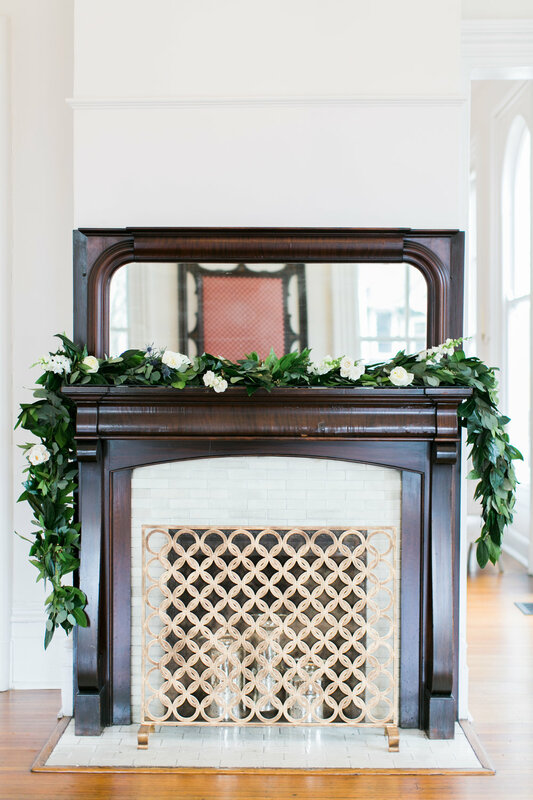 Inside the Merrimon-Wynne House, we added greenery and candles to the historic staircase and unique floral touches on all three fireplaces. Ally and Bobby did a fantastic job of capturing Stacey and Tony's romantic winter wedding.